An island nation world-renown for its lush, tropical vegetation, sugar cane plantations, dramatic mountains, sugar-white beaches, aquamarine lagoons and exotic mix of Indian, African, British, French, and Chinese cultural influence — is located in the Indian Ocean 500 miles east of Madagascar. 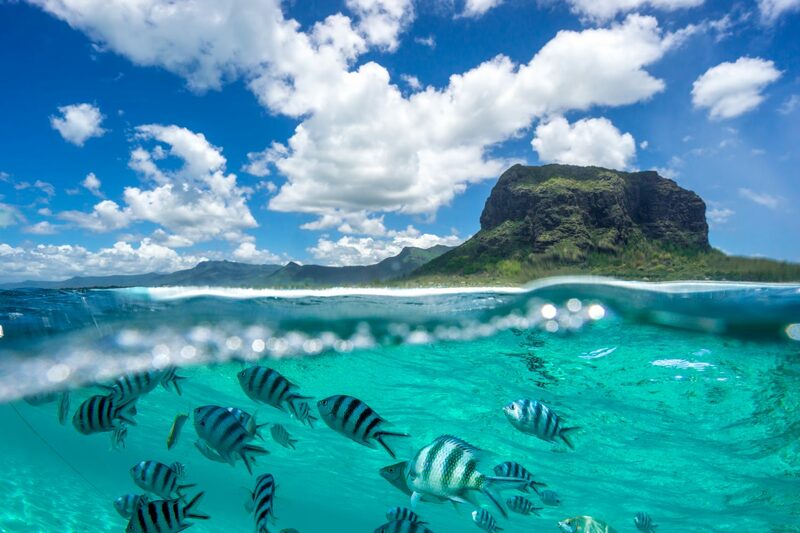 The main island of Mauritius is only 28 miles wide and 40 miles long. The currency of Mauritius is Mauritian Rupee (MUR). Mauritius was the only known habitat of the now-extinct dodo bird, a type of pigeon which settled on the island more than 4 million years ago. With no predators to attack them, dodos lost their need and ability to fly, and weighed up to 50 pounds. Lewis Carroll is said to have been inspired by the dodo to write his famous book “Alice in Wonderland” in 1865. Mauritius has a tropical climate with a warm humid summer from November to April, and a relatively cool dry winter from June to September. Sega music – originated among the slave populations of Mauritius – is now considered the national music of Mauritius. When performing the sega folk dance, Mauritian dancers move their entire body but their feet never leave the ground.